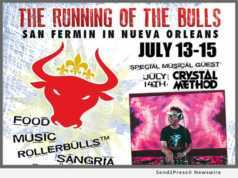 Music and Performers NEWS: -- Nola Bulls, LLC steps up to the big leagues for the 12th edition of the ever-growing San Fermin in Nueva Orleans (SFNO) presented by The Advocate, a.k.a. The Running of the Bulls in New Orleans. Los Pastores of Nola Bulls took a step forward booking a major music act, so 2018 promises to be an amazing year of music, food, drinks and what lovers of New Orleans like to do: Laissez les bons temps rouler. 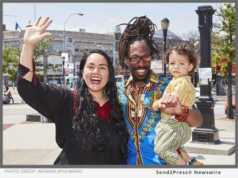 Music and Performers NEWS: -- Casita Maria Center For Arts & Education and Bronx Music Heritage Center are proud to present the South Bronx Culture Trail Festival 2018: Somos Unidos. This fun, family-friendly festival celebrates the rich cultural contributions of the communities that make the South Bronx their home. In partnership with community based organizations, city agencies and charities, multiple events will be held throughout the South Bronx from May 31 through June 23, 2018 uniting communities, arts, culture, and wellness while promoting civic engagement. Music and Performers NEWS: -- Uproar Entertainment announces the release of "Still Broke" by comedian Adam Hunter. 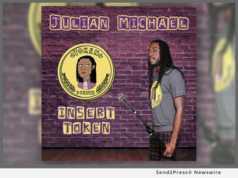 Recorded live at The Comedy Underground in Seattle, Wash., "Still Broke" is the third Stand-Up Comedy CD Uproar has produced by Adam Hunter. 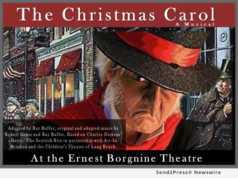 A talented performer and writer, Hunter has performed all over the world. 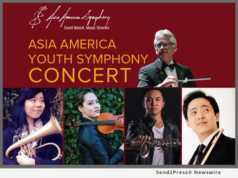 Music and Performers NEWS: -- Grammy-nominated DAVID BENOIT will lead the prestigious ASIA AMERICA YOUTH SYMPHONY through a varied program featuring the music from the films "Pirates of the Caribbean" and "Whiplash," and works by Tchaikovsky, Bizet and original works by Benoit himself, Asia America Symphony Association announced today. 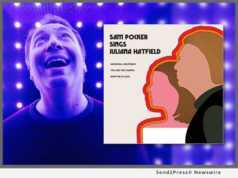 Music and Performers NEWS: -- Singer Sam Pocker is thrilled to announce the release of his sixth album, "Sam Pocker Sings Juliana Hatfield," available everywhere on Friday April 13, 2018. It is a 1970s-style answer record to the newly released "Juliana Hatfield Sings Olivia Newton-John." It features three Juliana Hatfield classics re-imagined as 12-inch disco records. Music and Performers NEWS: -- When jazz vocalist Sandra Booker first burst onto the Los Angeles music scene in the '90s, the comparisons to the legendary Sarah Vaughan came fast and furious. Her stirring, soulful renditions didn't just mimic the melodious icon, they seemed to channel her. 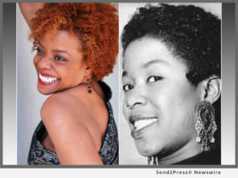 On Sunday, April 22, Booker will pay a unique homage to her muse with "Forever Sassy: The Divine Music of Sarah Vaughan" at the popular performance venue, the Vibrato Jazz Grill. 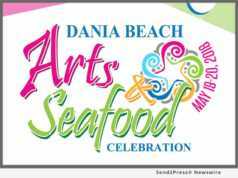 Music and Performers NEWS: -- Tribute band Jaded Aerosmith will light up the stage on Saturday, May 19 followed by a captivating performance by R&B band Deep Fried Funk on Sunday, May 20 at the 6th Annual Dania Beach Arts and Seafood Celebration. 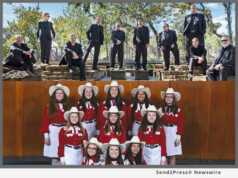 The 2018 lineup features an electrifying cast of performers and a diverse range of acts, including Classic Rock Therapy, Whipping Post and Latin group Catabella to name a few. 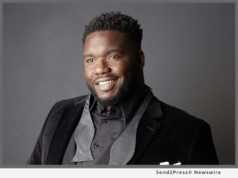 Music and Performers NEWS: -- Billboard Chart Topping Soul Singer-Songwriter-Actor and Los Angeles Native Phillip Brandon to open for 10-time Grammy(r) Award Winning THE MANHATTAN TRANSFER at The Saban Theatre in Beverly Hills, March 9 at 8 p.m. Celebrating their 45th anniversary in 2017, The Manhattan Transfer continues to set the standard as one of the worlds greatest and most innovative vocal groups. Music and Performers NEWS: -- When recording artist Tiffani LeBlanc dropped her first hit, 'Kinda High' in 2017, music fans took notice of not only her soaring vocals but also her dramatic sense for fashion and style. The new artist continues to gain heat as she drops her latest track, "Let's Party" a feel-good anthem for fun times. 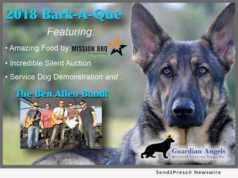 Music and Performers NEWS: -- Guardian Angels Medical Service Dogs is proud to announce we will be hosting our Annual Bark-A-Que featuring The Ben Allen Band LIVE in concert! The event will be held on March 3, 2018 from 10-2. This fun afternoon event will be held at N. Collier Regional Park and includes an incredible BBQ lunch, amazing silent auction, raffles and a chance to meet & greet with some of our Service Dog teams, to learn what they do, and how they help. Music and Performers NEWS: -- The California Department of Motor Vehicles has commenced the pre-sale to put the iconic self-portrait image of John Lennon on California license plates which will help fund the state's food banks. 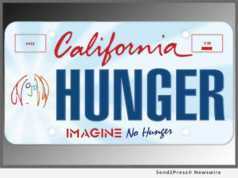 The special license plate features the famous John Lennon self-portrait image and the slogan, "IMAGINE no hunger." 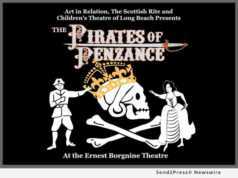 Proceeds from sales will be administered by the California Department of Social Services and distributed to the California Association of Food Banks to be utilized throughout the state of California for food bank programs. Music and Performers NEWS: -- Music Expo, the conference to inspire music makers, announced today its second Miami edition to be held March 24, 2018 at SAE Institute. Hosted in association with Sound On Sound Magazine, the all-day conference will feature production and mixing workshops, music business panels, product demos as well as a beat battle. Music and Performers NEWS: -- Harlem based Rock, Pop singer/songwriter Dan Spirk debut single "So Good To Me" is a highly personal look into the internal conflicts of a man. 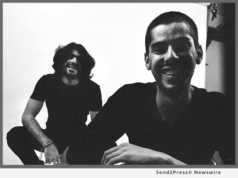 With the track being written and performed on all instruments by Spirk, the single is a song of ambiguous and personal satire. Delivered in a tongue and cheek romance. Wrapped up in "Bare Naked Rock & Roll" which debuted on November 26, 2017.